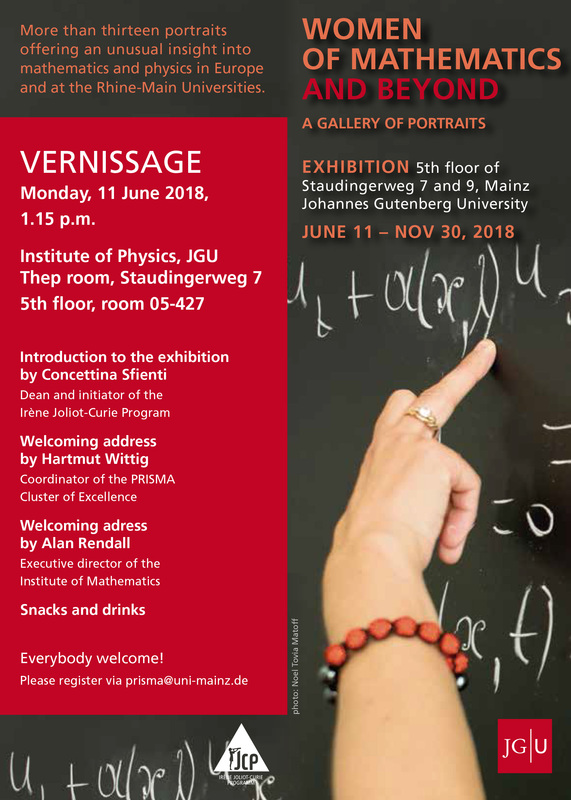 Monday, 11 June 2018 | 1.15 p.m. 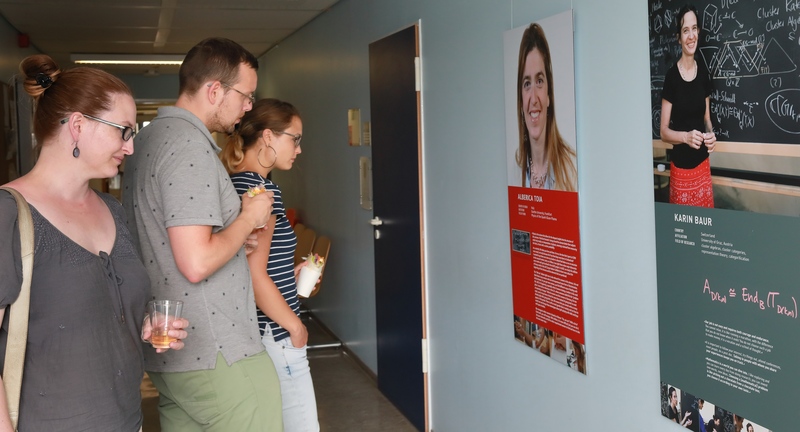 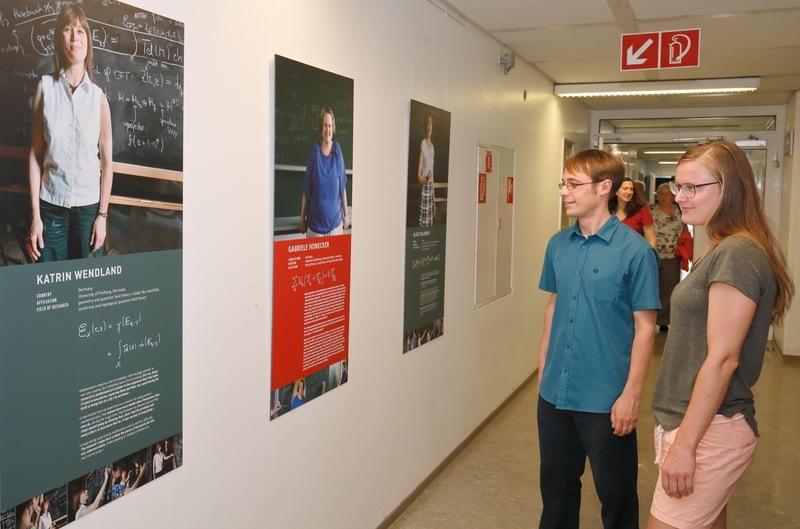 The exhibition ‘Women of Mathematics and beyond’ staged by the Faculty of Physics, Mathematics and Computer Science and the PRISMA Cluster of Excellence at JGU was officially opened on Monday, 11th June. 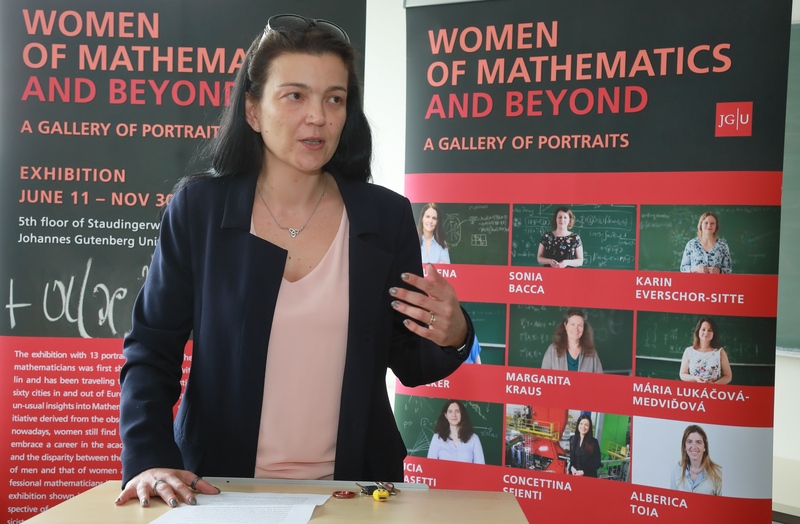 It profiles 22 female researchers working in the fields of mathematics and physics, and is designed to encourage young female science students to pursue an academic career to make up for the underrepresentation of women in their subjects.